with the testo 890 thermal imager. In helicopters, rotor gears transmit power from the drive unit to the rotor and are therefore exposed to extreme mechanical stresses. An important step in terms of the optimization and new development of these gears involves checking the friction behaviour of the individual gear wheels, bearings and shafts. This not only allows conclusions to be drawn about the design of the gearbox and the lubrication behaviour of the transmission oil, but also enables assessment of reliability and safety in later use. 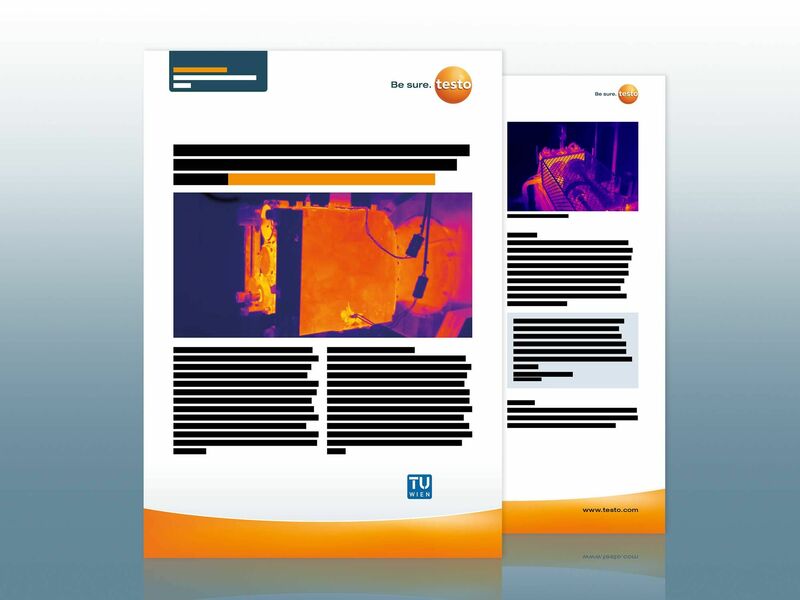 Scientists from the Institute for Engineering Design at the Technical University of Vienna use the testo 890 thermal imager for these measuring tasks. With 8 faculties, 51 institutes, over 2,600 academic staff and 30,000 students, TU Wien is the leading technical university in Austria. The Institute for Engineering Design and Logistics Engineering has built up an outstanding reputation in the optimization and innovation of gears for helicopters and drones and also collaborates with commercial aerospace companies. Rotor tests, load tests and rotation tests on transmission systems, wheels and components are regularly carried out in the comprehensively equipped test facility. 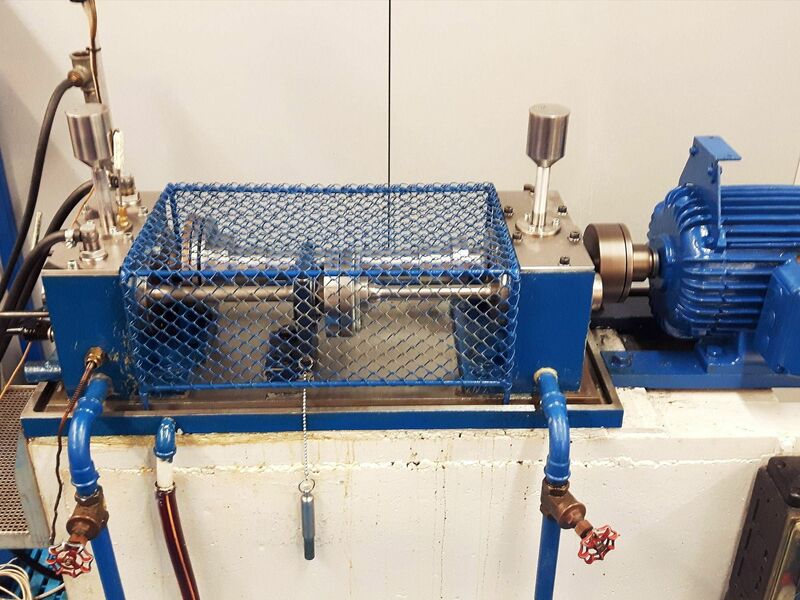 In order to monitor heat development on the rotor gears and to enable reliable identification of thermal anomalies, the scientists from TU Wien regularly undertake long-term measurements under realistic load conditions. To do this, they not only need a high-performance thermal imager, but also the possibility of creating and saving radiometric video recordings and filing them with the other project data. Standard test bench for testing the lubrication behaviour of different transmission oils. 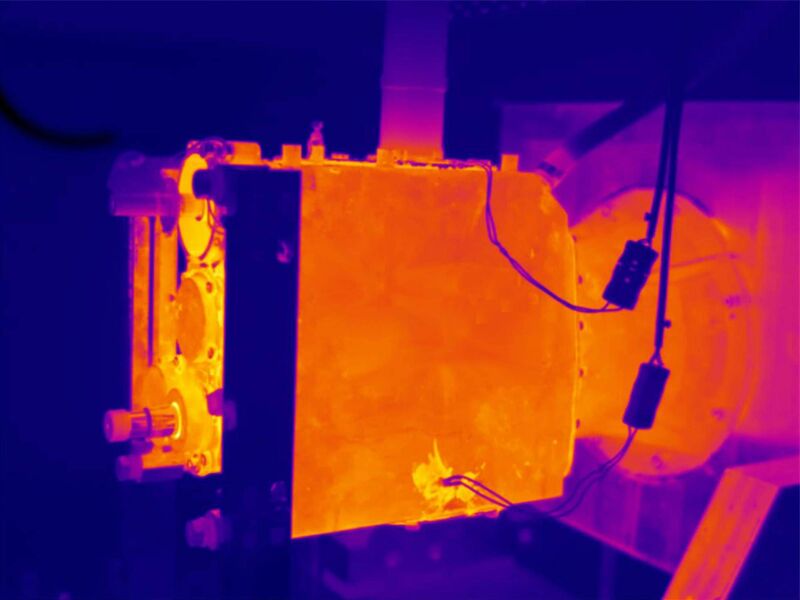 The same test bench in a thermal image. The measurement data have to be comprehensively documented, especially when collaborating with industrial customers. 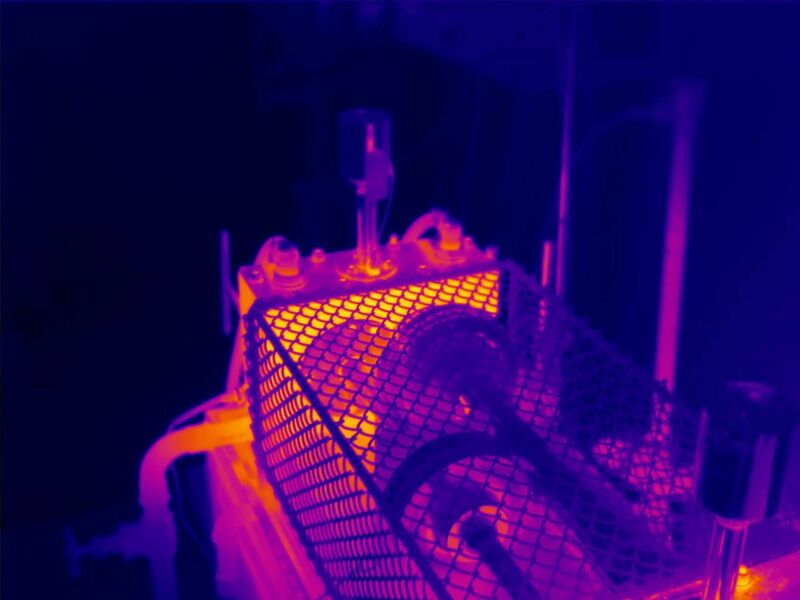 Thanks to the compatibility of the camera with LabVIEW, the infrared measurement data can be directly processed using the programming software used at the Institute and saved in a structured way. Furthermore, the scientists also use the recorded image material as a backup in case other measuring instruments fail during the test procedure.